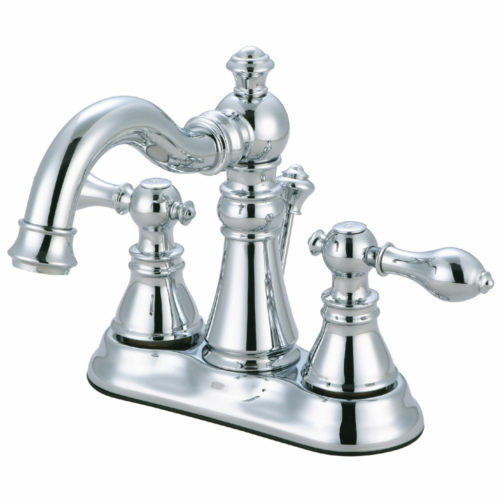 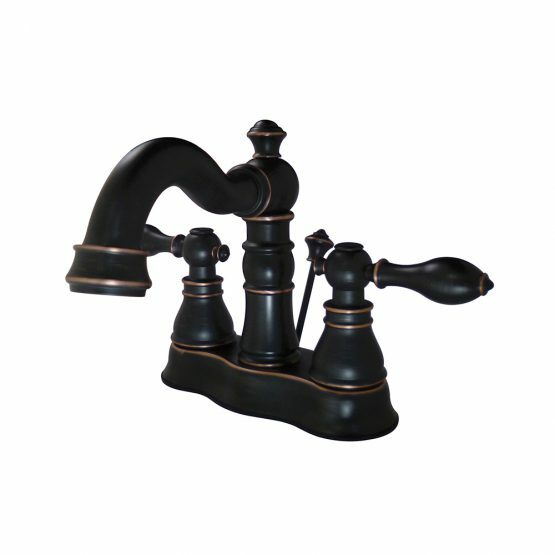 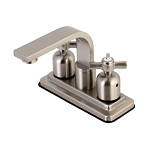 This faucet features beautiful dual metal lever handles with stylish high-rise spout, the Victorian-inspired design creates a perfect balance in the bathroom. 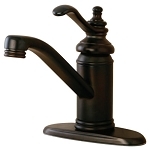 All of our faucets are fabricated from solid brass, perfectly engineered to be drip-free, care-free, and long-lasting. 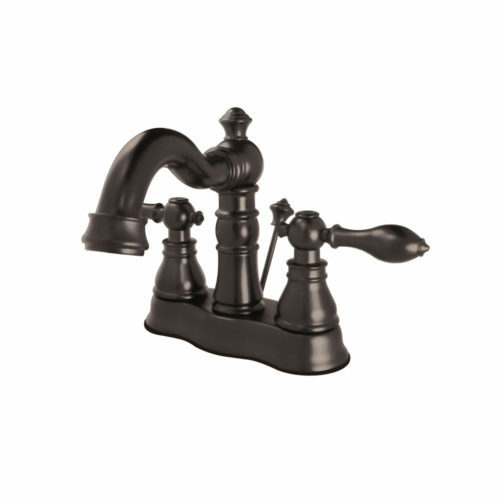 The gentle curves of this transitional faucet can offer extra warmth and elegance to your bathroom décor. 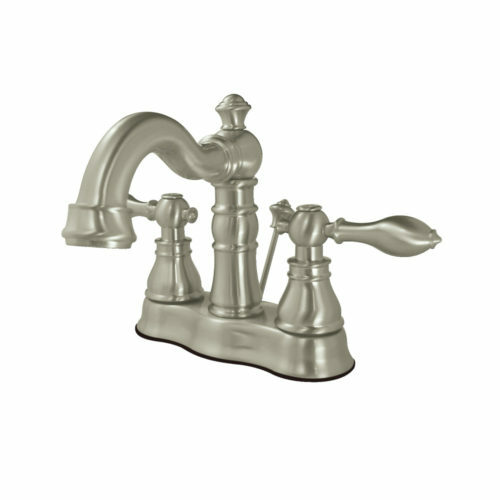 Available in your choice of Brushed Nickel (image 1), Chrome (image 2), Copper Bronze (image 3) or Oil Rubbed Bronze finish (image 4).